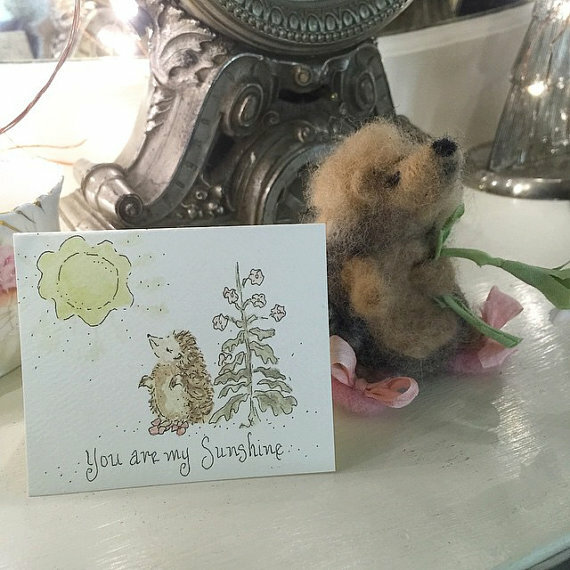 As author/illustrator of the Eliza the Mouse™ series of children's books, she has also created a Mouse Making Guide and Kit, a line of greeting cards, Eliza-themed recipe card set, a coloring book, mini all-occasion notecards, and mini Hyacinth the Hedgehog-themed notecards. 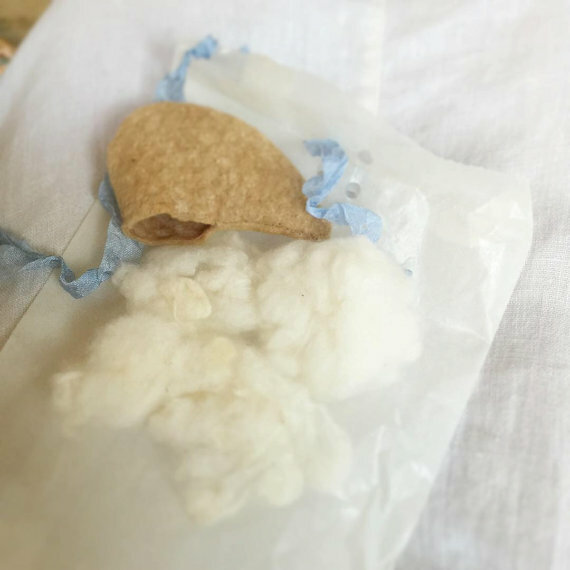 Throughout the year she opens her sewing basket for a limited time to receive orders for your very own custom hand-made Eliza the Mouse™. 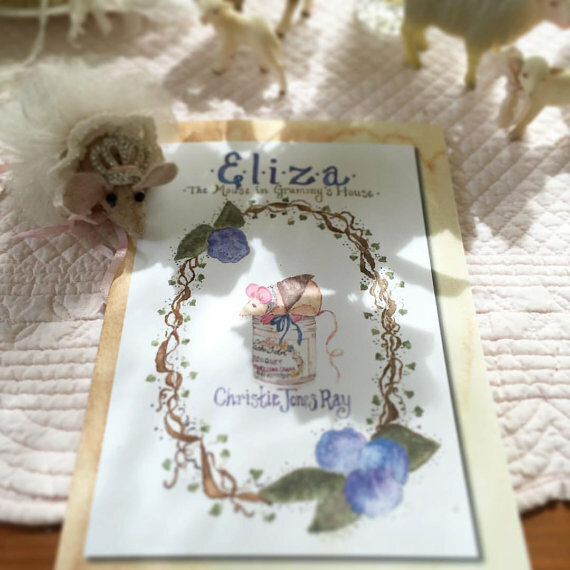 Eliza is a very tiny, very loved, handmade mouse who resides at Grammy's House, a quaint Victorian cottage. She wears hand-knitted and crocheted shawls and a kerchief and has many adventures. 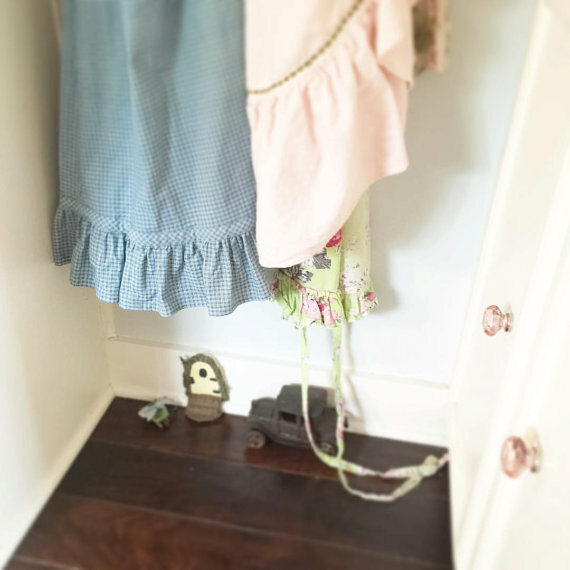 But she is always thankful to return to her cottage door at the baseboard of the kitchen in Grammy's House and snuggle into her cozy bed -- that is actually a lovely soap dish. 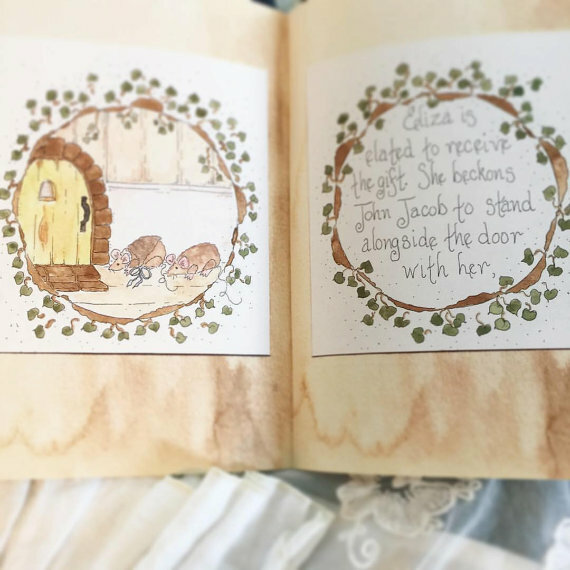 Wherein Eliza receives the gift of a cottage door. The adventures begin when Scout the yorkie discovers the tiny doorway, its new resident, and the newly stitched friend, John Jacob. 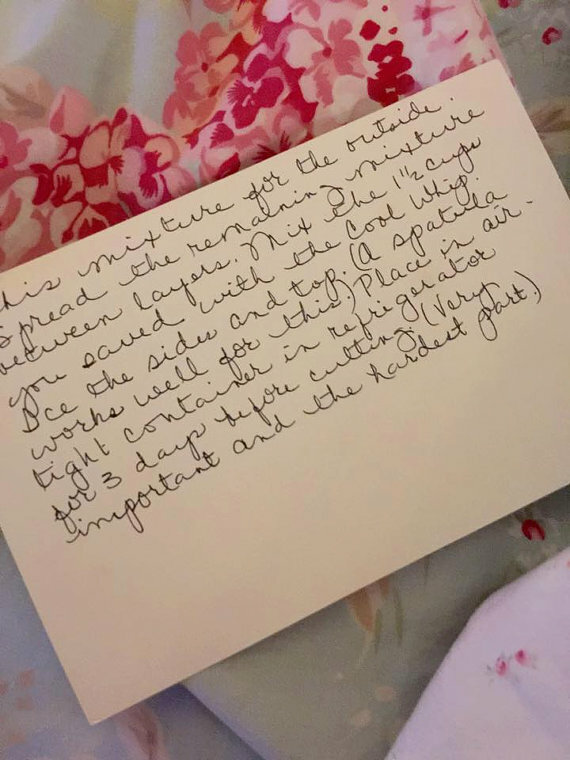 Wherein Eliza discovers she has a cousin who lives faraway in the city, and she and Grammy prepare a special gift for the newly stitched toy mouse who enjoys tea parties on special occasions. Wherein Eliza receives a lesson in baking cookies. 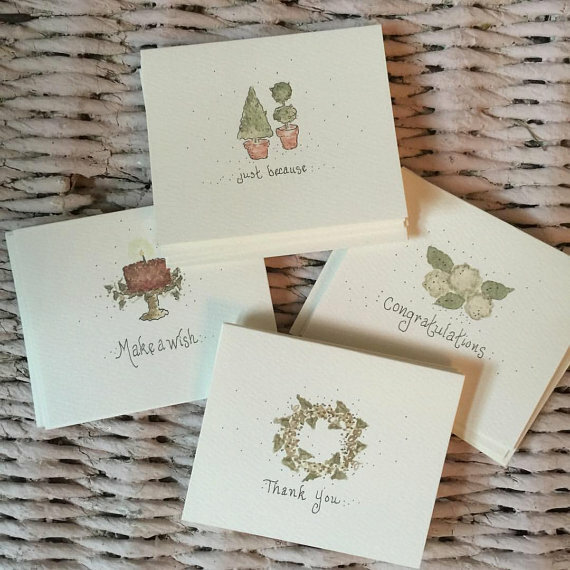 Her package of goodies is received by one very thankful cousin, who lives far away in the city. Both cousins have enjoyed celebrating a Royal Wedding. 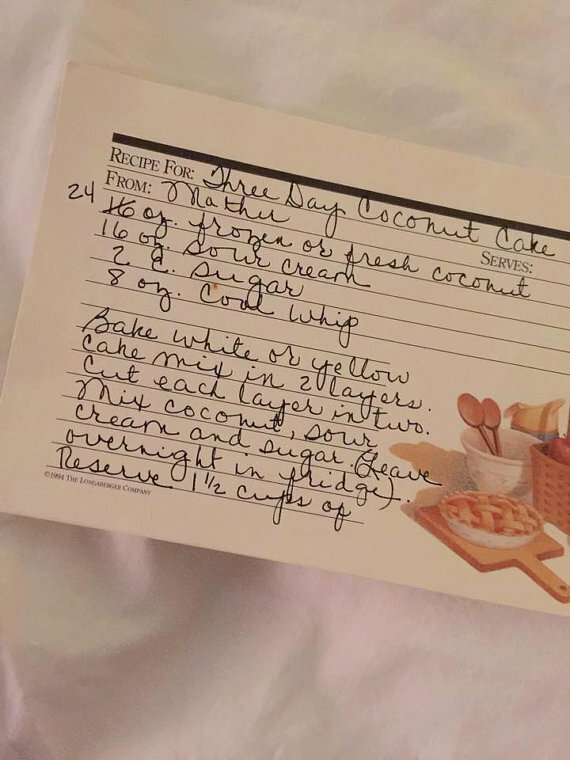 The recipe for the Victorian Lavender Cookies with Rosewater Icing is included. Introducing the first in the Eliza series "Seasons" a book for autumn. 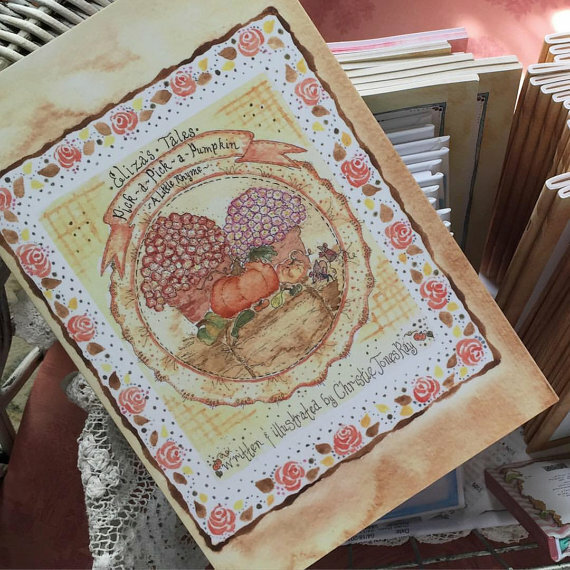 Join Eliza, the mouse in Grammy's House, as she travels with Cousin City Mouse to gather pumpkins in Amish country. Enjoy the rhyming tale, Pick-a-Pick-Pumpkin, that gives us all a smile. 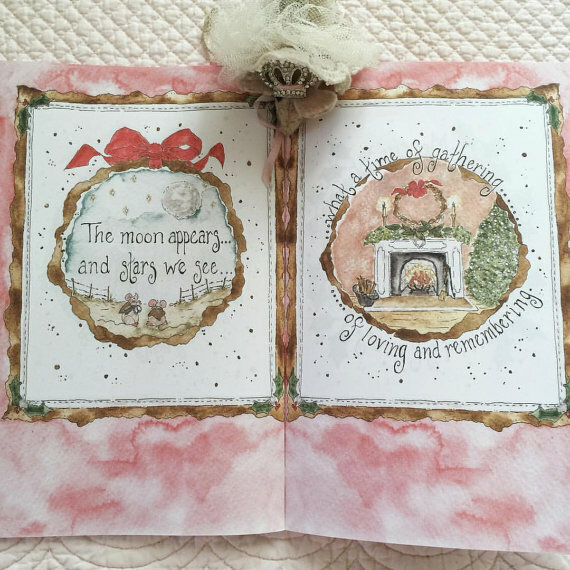 Introducing the second in the Eliza series "Seasons" a book for winter. 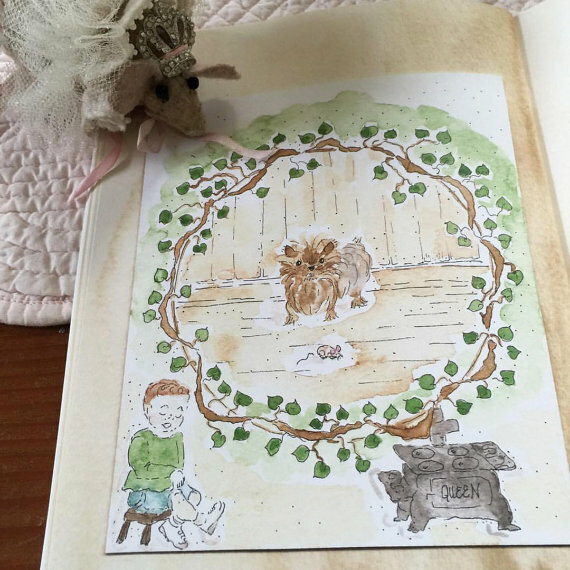 This rhyming tale finds Eliza and Cousin City Mouse enjoying an annual tradition of gathering the greenery for Christmastide, along with a festive picnic, the sharing of stories and yummy treats. Introducing the third in the Eliza series "Seasons" a book for spring. Eliza, the mouse at Grammy's House, learns how to stay healthy by drinking her goat's milk and enjoying the fruits of her labor from the garden. A delightful rhyme leads the reader through the planting, harvesting, and consumption of English and Sugar Snap peas. Introducing the fourth in the Eliza series "Seasons" a book for summer. 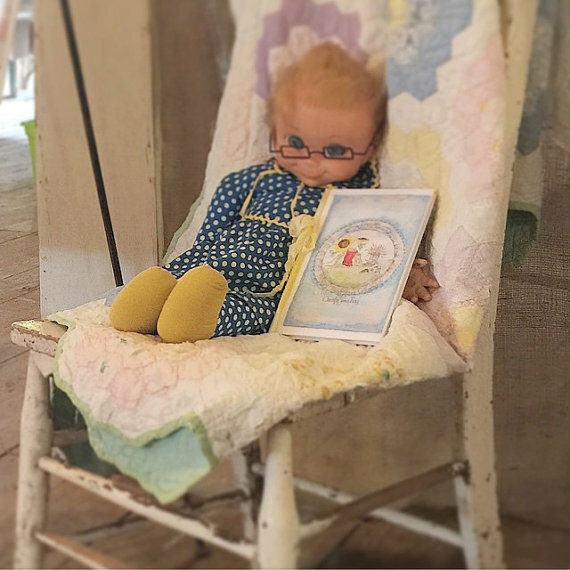 Ella Grace Louise is the real life little girl who came high-stepping into Grammy's booth at a Vintage Marketplace. She was more interested in her new red boots than reading a book, but Eliza the Mouse™ pleads, "Oh won't you read to me.." At last, just the right book is found! Eliza is all about literacy, and believes that no child hates to read, they simply have not found the right book. Introducing the first in the Eliza series "Adventures" a book for summer. 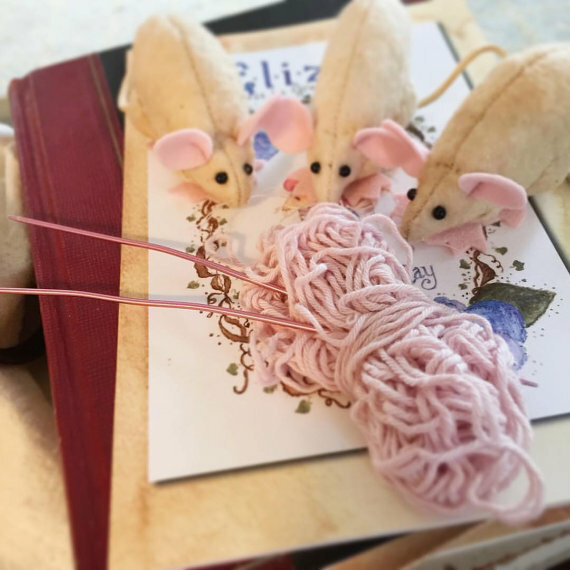 Eliza is a very tiny, very loved, handmade mouse who resides at Grammy's House, a quaint Victorian cottage. She wears hand-knitted and crocheted shawls and a kerchief and has many adventures. 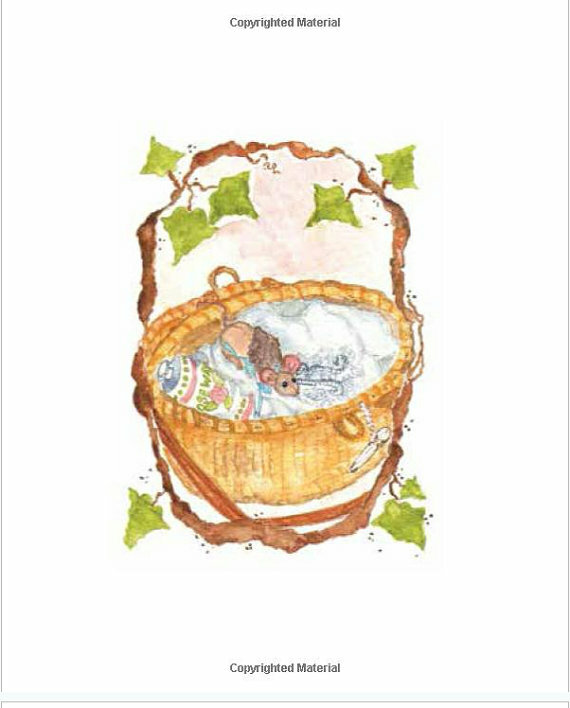 She is always thankful to return to her cottage door at the baseboard of the kitchen in Grammy's House and snuggle into her cozy bed that is actually a lovely soap dish. But, meanwhile, she is adventuring on Martha's Vineyard. 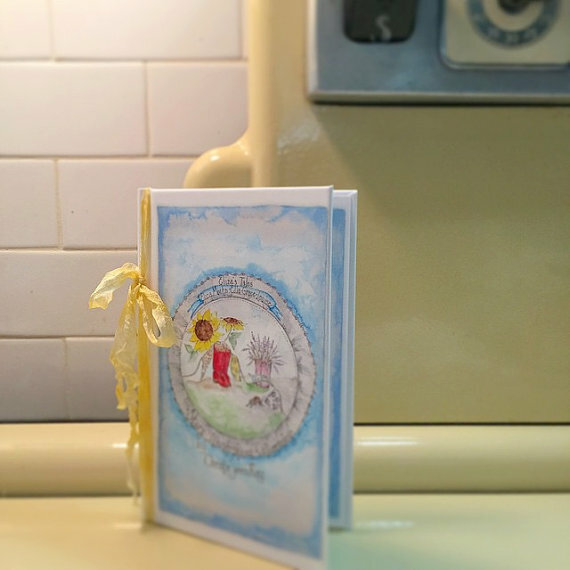 Introducing the second in the Eliza series "Adventures" a book for spring. 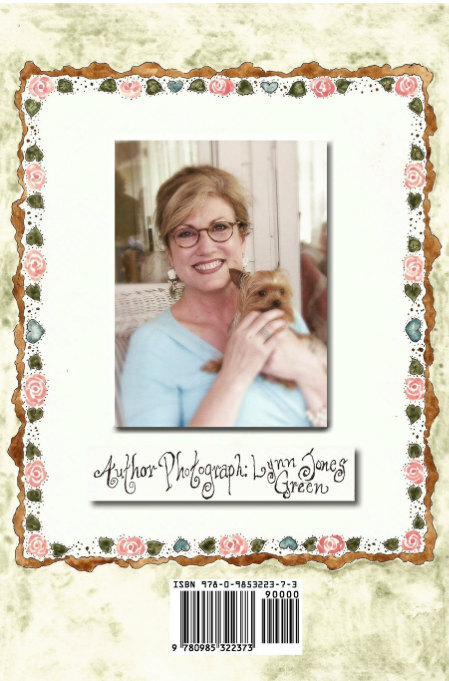 Eliza visits Rachel Ashwell's B&B in Round Top, Texas. 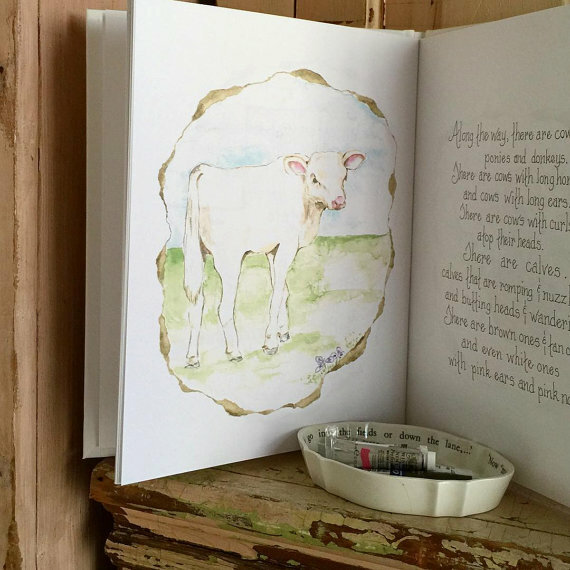 This adventure is filled with all things Texas…Bluebonnets, a shabby white calf with pink ears and a pink nose, and all things shabby and chic…fluffy pillows and vintage prom dresses that appear to be dancing in the rafters of the Pearl Barn. Eliza learns she can wear her tutu and tiny crown and ballet slippers, and she WILL fit in...in Texas. Introducing the third in the Eliza series "Adventures" a book for winter. Eliza travels to New York City to attend the 1st performance of the 60th anniversary of George Balanchine's The Nutcracker by the New York City Ballet. She has always dreamed of being a ballerina, but alas, it has remained a dream, for her feet were too wide, her ears were too big, and as hard as she tried, she simply could not twirl. Follow along, as Grammy encourages her to be her best, not what others think or say. This is a story for those little ones who have you looking for monsters behind the curtains and in the closets, at bedtime. Eliza is comforted as Grammy finds sweet Bible verses hidden behind the doors and tucked between the shutters. 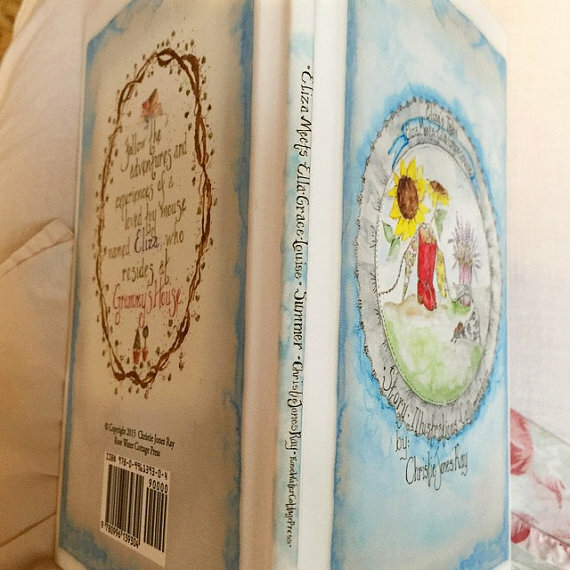 I hope you'll enjoy this whimsical tale of our storybook town through the eyes of the little family of foxes of Franklin. Mousie-sized knitted shawls with coordinating silk hand-dyed ribbon. 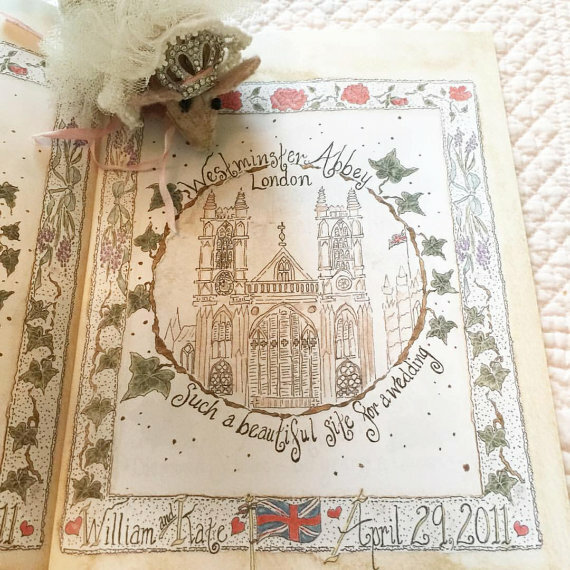 At Christmastide, 2014, Eliza the Mouse™ visited the Nutcracker Ballet in New York City. She dressed as the Sugar Plum Fairy, wearing a sparkling tiara and a shimmering tutu. I am tickled to offer this set…a tiny tiara and tutu threaded with whisper pink hand-dyed silk ribbon, perfect for a visit to the ballet. 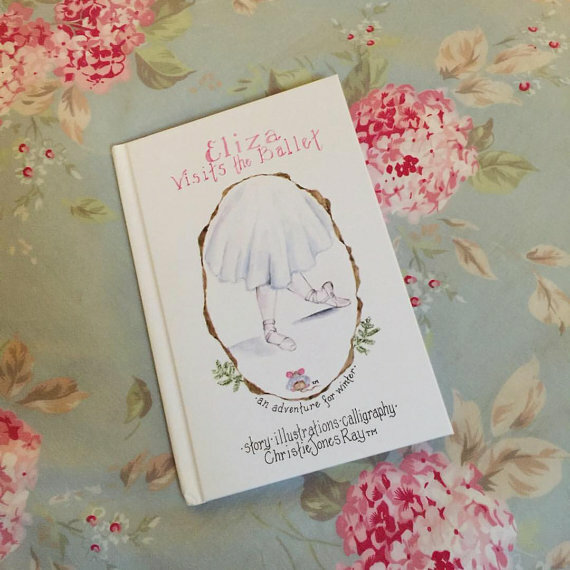 Also, look for the next Eliza adventure, Eliza Visits the Ballet, which will be the prequel to Eliza Visits The Prairie…due for release, Fall 2016. 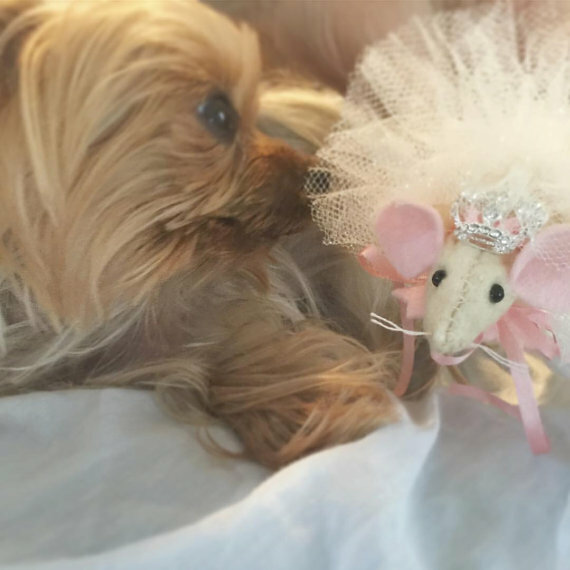 Sweet Mousie is featured in both, wearing her shimmering tutu and sparkling tiara. 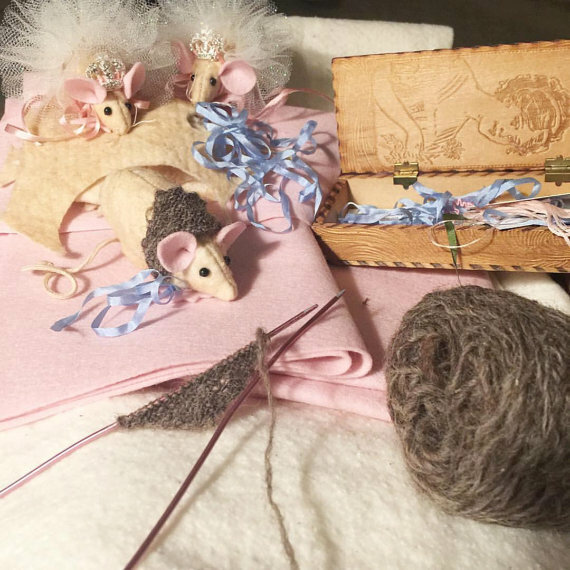 ***Eliza the mouse is not included but can be ordered separately, either wearing her knitted shawl and kerchief, or in Sugar Plum Fairy costume.